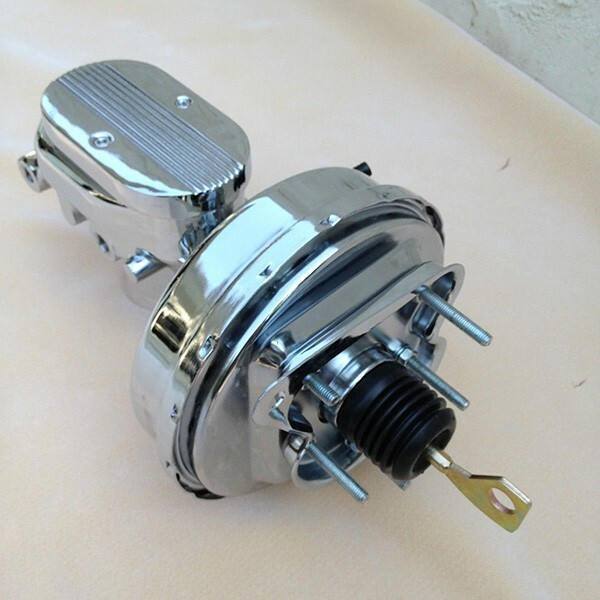 New replacement 9" chrome brake booster and chrome aluminium flat top master cylinder with right & left side ports for 1967-70 Ford Mustang/Falcon. Must be used with Disc/Drum or Disc/Disc Proportioning Valve which can be side mounted, under mounted or fixed firewall mounted to suit. These are NEW show quality replacement parts and will be a direct bolt on for your Mustang and works with Automatic Transmission and will fit USA Falcon and Cougar along with Aussie Falcon of same period. This system comes with a full 2 year warranty.